At Smile4U we offer a variety of options brighten your smile in a way that suits your needs. We quickly prepare custom fitted whitening trays that will fit your teeth as long as the shape of your teeth aren’t significantly changed due to fillings etc. 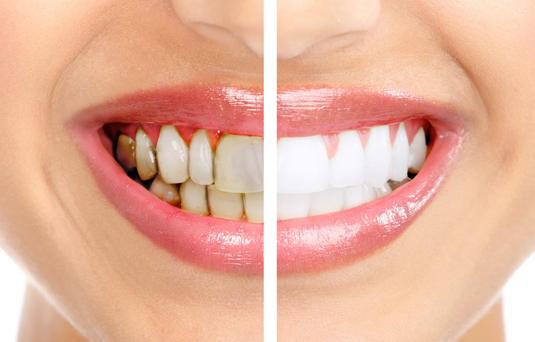 The use of custom fitted trays enables the use of whitening solutions, higher in concentration then over the counter options, to safely brighten your smile quickly and effortlessly without damaging your teeth or your gums. And since you can quickly touch up the colour of your smile in the comfort of your own home you can enjoy all those simple life pleasures, like tea and coffee, without the worry of losing your bright smile. TV’s your dentist will keep you comfortable and relaxed as we deliver a bright smile in a short one hour appointment.